Young Moore is proud to sponsor this Greater Raleigh Chamber of Commerce event. Learn what top economists anticipate for our area in the 2019 at the Economic Forecast! Don’t miss this opportunity to get an inside look at where our economy is headed while you connect with top local business leaders. This event includes networking, a continental breakfast, and audience polling. Thomas Barkin is the president and chief executive officer of the Federal Reserve Bank of Richmond. 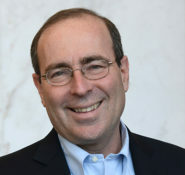 Barkin joined the Richmond Fed in January 2018 and is responsible for the bank’s monetary policy, bank supervision, and regulation. He serves as a voting member in 2018 on the Federal Reserve’s chief monetary policy body, the Federal Open Market Committee. 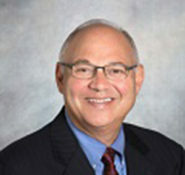 Mark Vitner is managing director and senior economist at Wells Fargo. He will return this year with his insight into economic conditions, trends, and predictions locally, nationally, and globally. Based in Charlotte, Vitner writes Wells Fargo’s Monthly Economic Outlook report and the Weekly Economic & Financial Commentary. He provides updates on the housing market, commercial real estate, regional economies, consumer spending, and issues impacting small business.